This month had been another busy one, filling orders for SeaSalt and other galleries. At the start of the month a new apprentice arrived, from California. Drake Bialecki, so production has increased even more. We have 7 team members now, all throwing the standard ware. 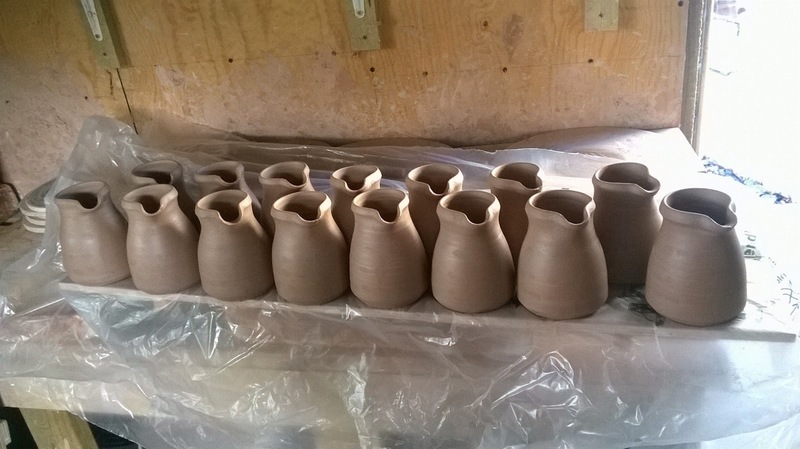 I have had a chance to try out some different shapes, including tiny milk jugs, small jugs, medium and small bowls. 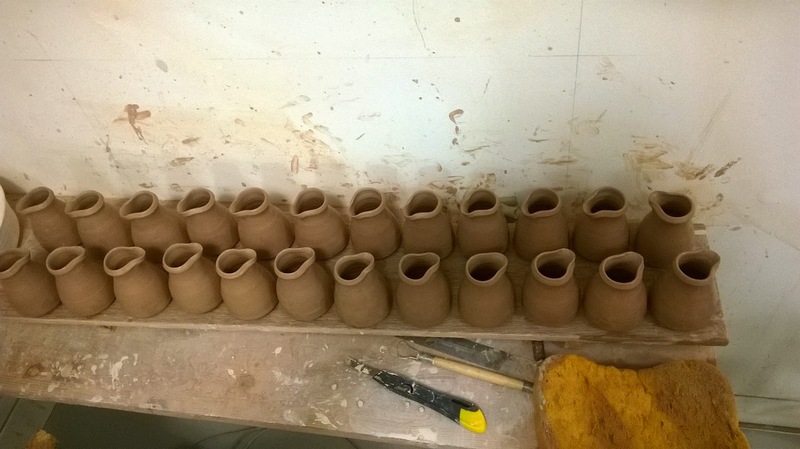 The tiny milk jugs/pourers are very fiddly to throw, but I got in to a rhythm and enjoyed those forms. 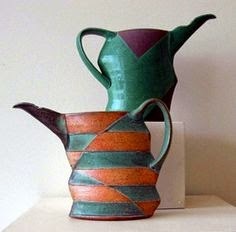 The small jug was also tricky because you can't fit your hand inside the form, so the bottom has to be right before you bring the clay up for the neck. They will then have a pulled handle. 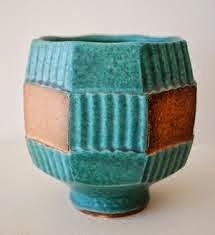 This month we have also had Jeff Oestrich,a former apprentice at the Leach and now a potter in Minnesota, working in the old studio. It has been great hearing old stories about the Leach and learning all about his techniques and processes. I have focused on my own work alongside the studio ware. I completed my first firing, which mostly consisted of glaze tests. It was quite successful, I now have 3 more glazes which I will be using in my next firing. 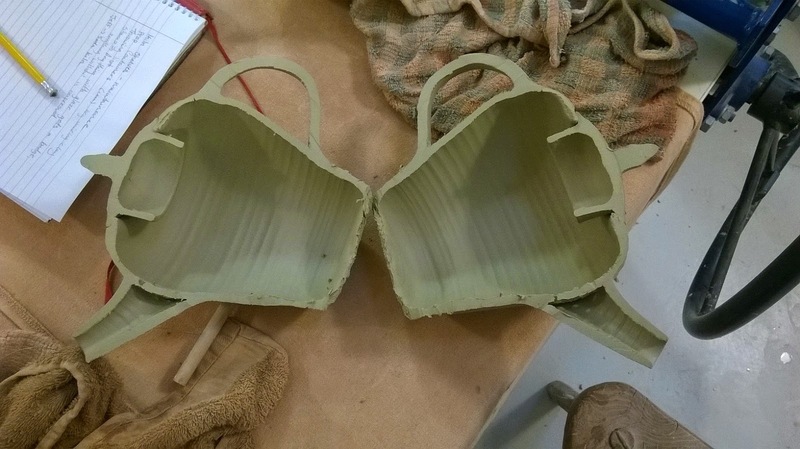 I also spent a few days making tea pots, which was a challenge. I chose 3 that I was happy with to keep and this one was the one I chose not to keep! I decided to cut it open and have a look at the thickness. I thought it looked really interesting, seeing a different perspective. I will post pictures of the successful teapots when they are finished!